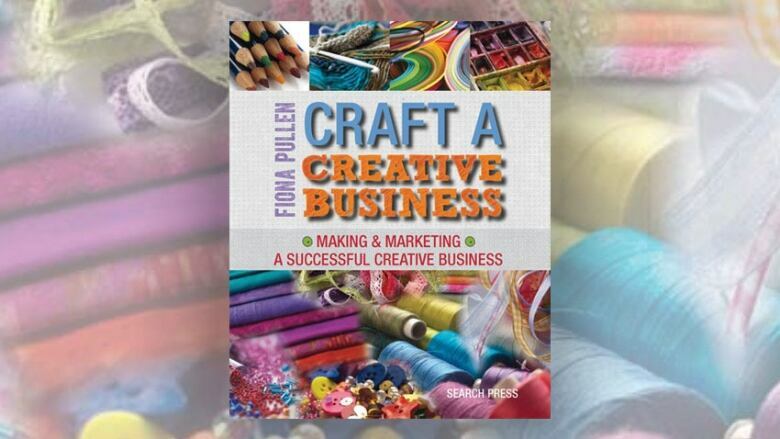 The Next Chapter columnist takes a look at All In by Arlene Dickinson, Side Hustle by Chris Guillebeau and Craft a Creative Business by Fiona Pullen. Lots of us have the dream of starting our own business — ditch the boss and run our own ship, or just make a little cash on top of our day job. 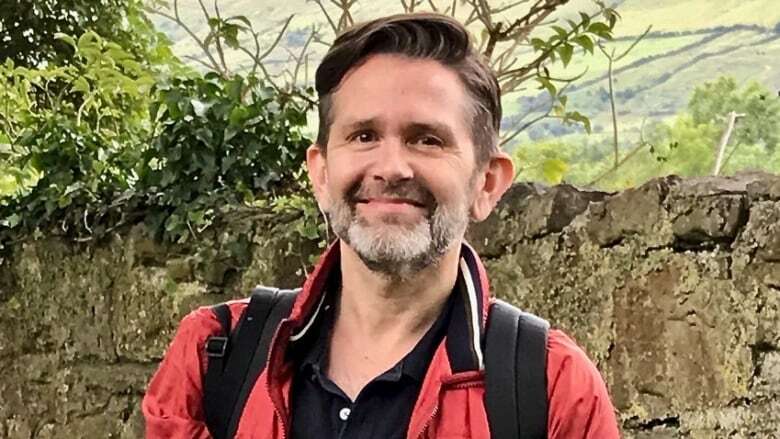 The Next Chapter columnist Brian Francis is a resourceful and enterprising guy and has proven himself a dab hand at many things — crafts, caker cooking, make-up application. So perhaps a whole new world of entrepreneurship is waiting for him. With that in mind, he's read three books about turning your ideas into cold hard cash. Francis is the author of novels like Fruit and Natural Order. 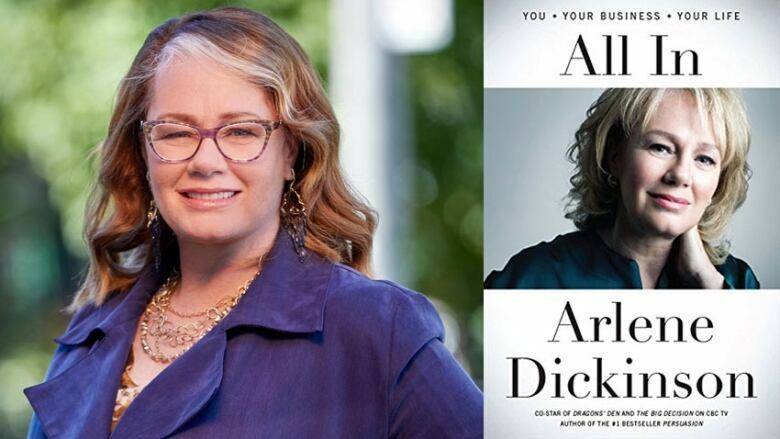 "Her book is all about the life of an entrepreneur and the psychology of entrepreneurs. I'm not a business person. I did not do well in Grade 10 math. But she points out in her book that entrepreneurs really are creative people. The biggest price sometimes to being an entrepreneur is in your personal life. Absence is sometimes the biggest drawback if you're in a relationship with someone who is an entrepreneur. Now she does talk about going off to business meetings but she also talks about being mentally absent as well. Even when you're with your partner or family, you are constantly on the phone or out of that moment and she says that's really hard for people to forgive. I think the same is true for writer types as well. Writers are always up in their heads, thinking about their fictional worlds. At the end of the day, we're all creative people, but with different aspects." "All of us want to make extra money. A lot of times you have ideas for things, but maybe you're at a point where you're saying, 'You know what? This is a really good idea. I am going to crochet. I'm going to go to church bazaars. But I'm not ready to stop hosting The Next Chapter yet.' 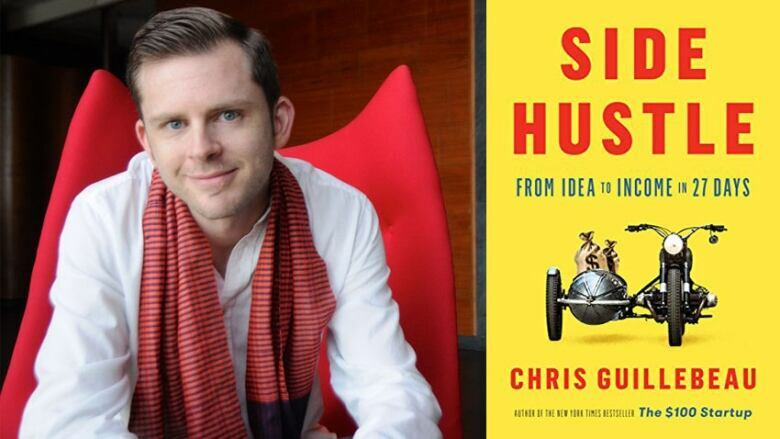 Guillebeau's premise in Side Hustle is, don't quit your day job, but take your spare time and turn it into spare cash. He says, look at what you're able to do. Look at the talents you have. Maybe you have expertise in a certain area and could offer online tutoring. Maybe you are a good baker and can sell some customized cookies. Another thing he was suggesting was that you could go around to yard sales, buy people's stuff and sell it on Etsy for three times the price. "But he does warn that just because you have an idea doesn't necessarily mean it's a good idea. One of the things that he talks about is checking the feasibility, profitability and persuasion of your idea. By the persuasion he means, it's not only a good idea, but it's a good idea now. Think about ways you can solve a problem for people and put that forward in a clear and concise way. The next thing you know, you're hopping in your Chevette and making fistfuls of cash because you've got a side hustle." "Fiona is the founder of the Sewing Directory, which is a website for finding local and online sewing supplies, courses and groups. I picked up this book because I started with Arlene and learned that I had some entrepreneurial tendencies. Then I went onto Side Hustle and thought, what are the skills and talents I have? That led me to Craft a Creative Business. I don't want to toot my own horn too much, but I have been known to turn an empty dish soap bottle into a Christmas angel. I have glued together glass ash trays to make a beautiful candle centrepiece for the dining room table and I've also been known to make an apple-head doll or two in my day. I thought maybe it's time I take it to the next level and look at what I can bring to the world. What does the world need right now? "Before I get to that, Fiona does talk about how you can market your craft. She talks about USP, or unique selling points. What makes your craft different from the competition? Why are your apple-head dolls better than somebody else's? Then you should also make sure that you address a need in people. People need apple-head dolls to keep them company, I guess. We all need friendly faces grinning back at us in the morning. But also, give some attention to your branding. Think about your colours. "So my idea for a side hustle is clothespin wishing wells. Is there anything more romantic than an old-fashioned wishing well? No, but who has the yard space? Not to mention the stones can be expensive. 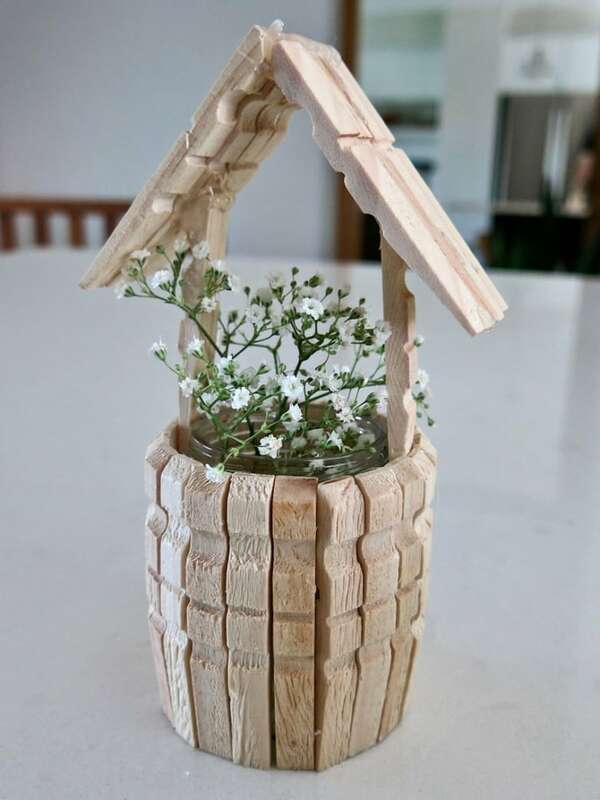 The nice thing about clothespin wishing wells is that they are very simple to make." Disclaimer from Brian Francis: "This isn't a craft for everybody. You need a certain amount of artistic integrity to make these, so I do want to caution everybody. It does require a glue gun, so caution to everybody with thin-skinned figure tips. This is probably not a craft for you." Brian Francis's comments have been edited for length and clarity.